The couple were at the Braid Centre where they met young people involved in film and arts projects. The focus of their latest visit was on young people and children. 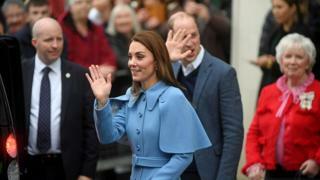 On Wednesday, the couple closed the first day of their visit at a party in the Empire Music Hall in Belfast. Hundreds of people lined the streets to greet the couple at the city venue and cheered when they waved back at them. Inside the music hall, members of the arts, business and sporting community met the Royals. 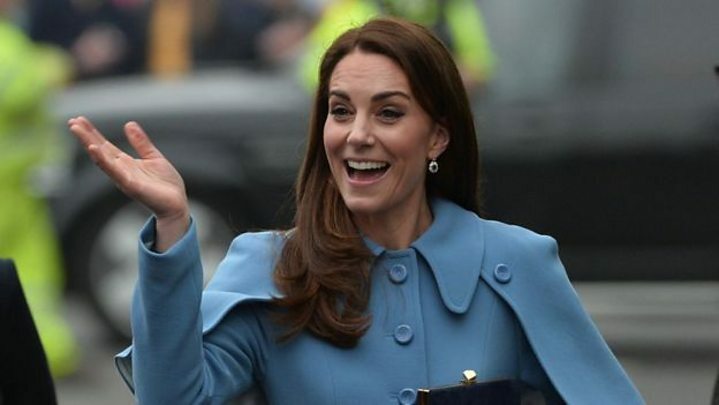 Earlier on Wednesday, William and Kate toured Windsor Park, Northern Ireland's national football stadium, and joined in a kickabout with young children. They then travelled to County Fermanagh to visit the Roscor Youth Village, a residential centre for children referred by social workers.